Pneumonia Kills 14% out of 845, 000 Children deaths in Nigeria Yearly: Who Ever Knew? 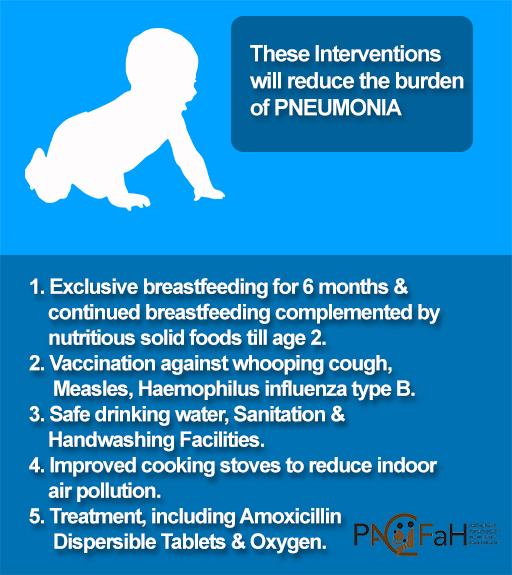 This statistics is sure so scary and we must save more babies and even adults from preventable deaths. Imagine! 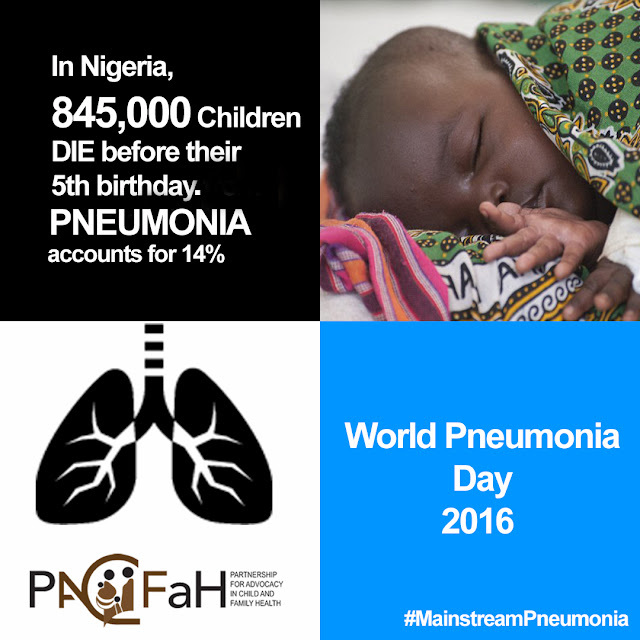 845,000 Children die before their 5th birthday yearly in Nigeria (NDHS2013) from Pneumonia and it has been overshadowed as a priority on the global Health agenda. 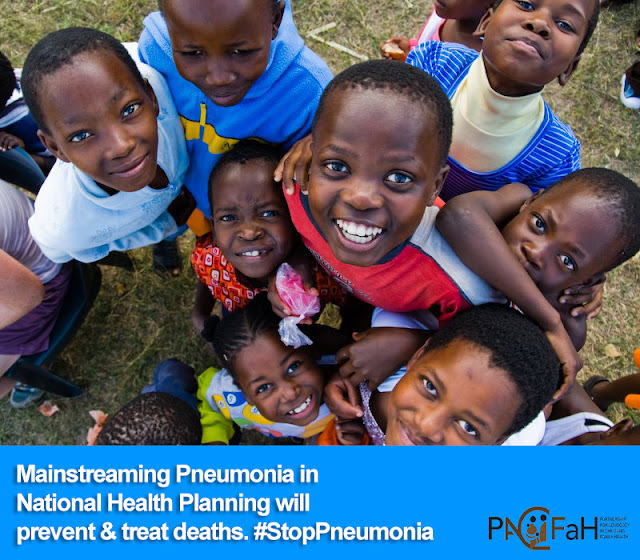 Pneumonia rarely receives coverage in the News Media.World Pneumonia Day helps to bring the awareness that Pneumonia is an infection affecting one or both lungs. 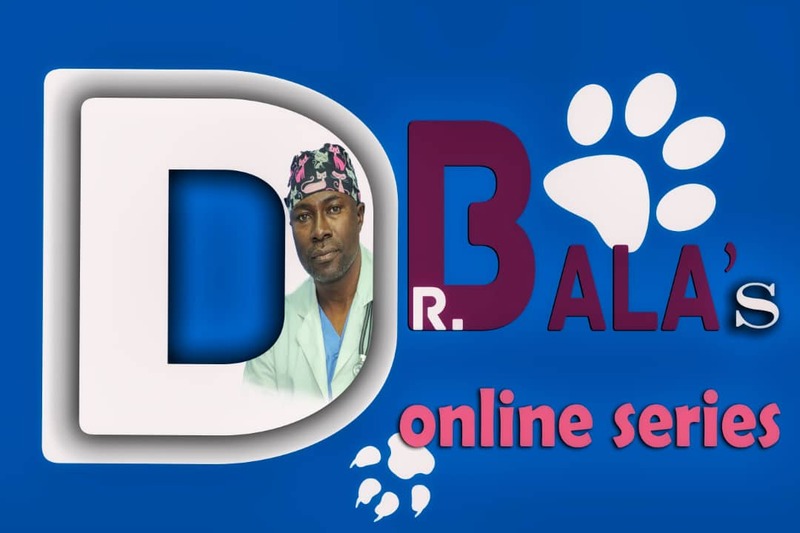 Pneumonia infection inflames the lungs' air sacs filling it with fluid or pus. 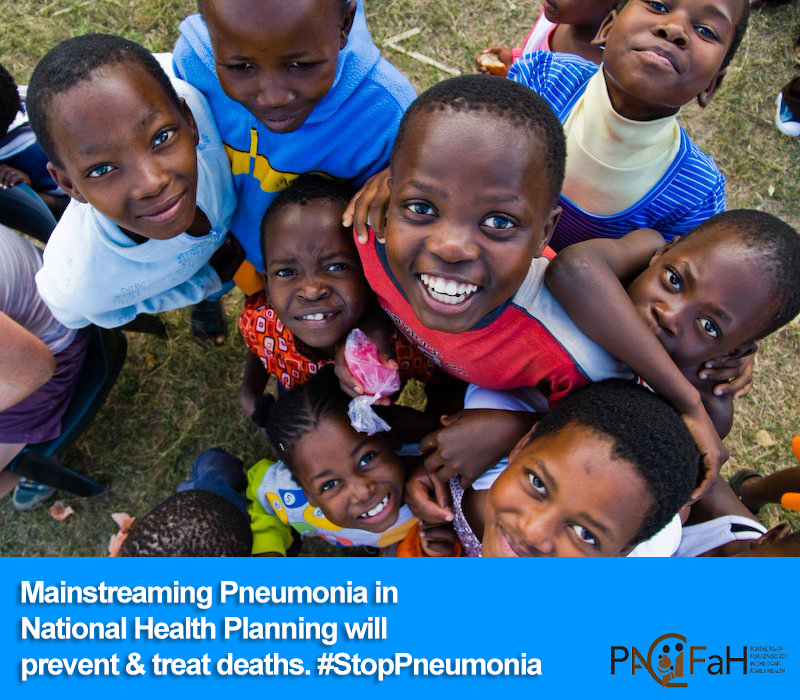 Symptoms of Pneumonia are cough & phlegm, fever, chills, vomiting and breathing difficulty.